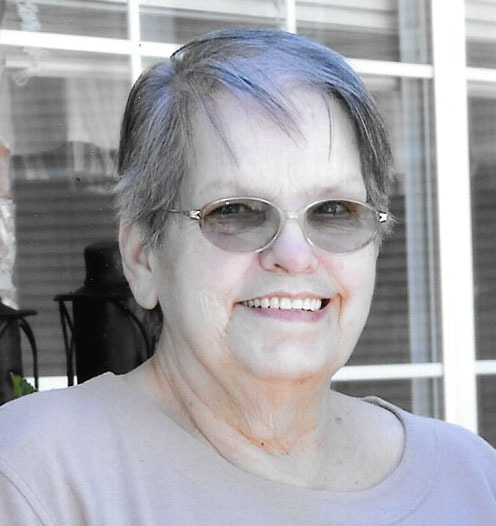 Mary R. Green, 78, of Huntington, was born March 2, 1940 in Doe Run, Missouri, the daughter of the late John Raymond Hahn and Merrietta Rebecca (Beam) Silvey, and died Wednesday, January 16, 2019 in Lufkin. Ms. Green was an avid reader and rock collector. She also enjoyed family genealogy. Ms. Green is survived by daughter and son-in-law, Julie and Richard Idom of Lufkin; son, Jerry Green Jr. of Huntington; step-daughter, Mahaley Green of Anacoco, LA; grandchildren, Teva and Brian Boothe of Nacogdoches, Rece and Michael Steen of Oil City, LA, Joseph Carnes of Lufkin, and Wes Carnes of Pennsylvania; brother and sister-in-law, Raymond and Barbara Hahn of Park Hills, MO; brother-in-law, James Allbright of Pearland, TX; along with 9 great-grandchildren and numerous nieces and nephews. She was preceded in death by her parents, John Hahn and Merrietta Silvey; and sister, Francine Allbright. Special memorials may be made to St. Jude Children’s Research Hospital, P.O. Box 1893, Memphis, TN 38101 or to Hospice in the Pines, 1504 W. Frank Ave., Lufkin, Texas 75904.